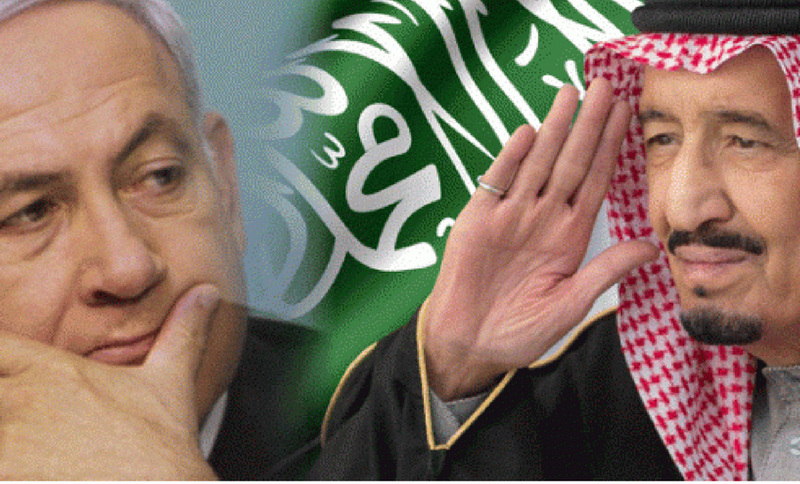 David Reaboi at Red State: Supporting The New Arab-Israeli Alliances In The Middle East Is More Important Than The “Peace Process”–And Trump Knows It……. – The Tundra Tabloids……. David Reaboi at Red State: Supporting The New Arab-Israeli Alliances In The Middle East Is More Important Than The “Peace Process”–And Trump Knows It……. This article by David Reaboi however, discusses the geopolitical alignments and re-alignments he observes in the Middle East and why they’re of absolute importance, not the baggage of each Arab state actor brings into the re-alignment. Keep that in your mind while reading this important piece, as well as taking a look at his thread on his Red State piece on Twitter. I wanted to write a piece about why I believe the alliance between the US, Israel and Arab states like Saudi Arabia, Egypt and UAE is both important and in very healthy shape thanks to Donald Trump. Thread below. If there’s anything that experienced Middle East analysts should’ve learned over the last few years, it’s that problems that seemed intractable can be overshadowed–and made irrelevant–by a changing environment. By now, the story should be familiar to everyone: Barack Obama’s dangerous outreach to Shia Iran and Sunni Islamists caused America’s left-behind allies in Israel and the Sunni world to look to one another to counterbalance the mischief the president’s policies were causing. First, the Israelis and the Arabs allied to put the brakes on a Muslim Brotherhood sweep of the Middle East, and then to attempt to arrest Iran from engaging in its own brand of regional imperialism. Many of these countries, too, came to recognize the threat of Islamism, and have dealt with it forcefully. For the first time, though, states like Saudi Arabia, Egypt and the UAE came to realize that Israel was a more humane, predictable, and powerful ally than any realistic Palestinian regime would be. Decades after military and diplomatic conflict that seemed to be intractable, these states have come to accept that their interests are better served by an Israel that exists and is strong than one that is weak, under siege, or nonexistent. This is the first step toward a genuine and public normalization in relations between countries that has the potential for changing the world in the most positive of ways. Every week brings new evidence of warming relations in public, and it is not at all inconceivable to wake up one morning to find an Israeli Prime Minister shaking hands with any one of several ex-enemies in an Arab capital. This thought fills me with joy and hope and animates so much of what I do professionally. While the Middle East is a very different place today than it was even a decade ago, not everyone has gotten the message. The changing strategic landscape has revealed that most of the mainstream media’s favorite left-leaning regional analysts– the ones you often see on CNN and read in the New York Times— are little more than ideological hacks, either incapable of dealing with these new realities or are actively hostile toward them. You might ask, very reasonably, “who in their right mind would possibly oppose warmer relations between Israel and its neighboring Arab states? Isn’t this what we’ve always wanted?” And it’s a good question that reveals some weird, disfigured thinking, especially on today’s fast-radicalizing Left. In order to cling to this narrative, these people now find themselves not just the enemies of the State of Israel, but enemies of its new allies in Saudi Arabia, Egypt, and the UAE as well. Even more strangely, the average social media user from the Arabian Gulf now seem to be far less hostile to Israel and Donald Trump than mainstream media and the Democrat Party is. One analyst who was always able to see these trend-lines clearly is my friend Daniel Pipes at the Middle East Forum. Dr. Pipes spotted not only the potential regional re-alignment coming, but he understood the underlying causes as well. He percieved, correctly, that Israeli political, technological and economic strength is what has brought Israel’s former enemies into an informal alliance. Previous Post Previous Post ‘Palestinian’ indoctrination of children at work: Pierre Rehov’s video “Pay For Slay”……. Next Post Next Post Benjamin Weinthal at Fox: Iran hangs man on anti-gay charge – as Europe turns blind eye to human rights abuses and tries to circumvent US sanctions…….